SEATTLE (Waste Advantage): The Institute of Scrap Recycling Industries (ISRI), the Voice of the Recycling Industry™, released new, independent data today highlighting the important role scrap commodities play in U.S. exports. According to the study by John Dunham and Associates, coinciding with World Trade Week, U.S. scrap exports generate more than $28 billion in total economic activity. The data shows that approximately 26.36 percent of the scrap materials processed in the United States are exported to other countries for manufacture into new products. These exports help create jobs in the United States and also reduce worldwide energy demand and the need to mine and harvest virgin materials. In 2017, more than 40,000 jobs are supported by the export activities associated with the processing and brokerage operations of scrap recyclers operating in the United States. These jobs pay an average wage of $75,934. An additional 93,772 jobs are provided by supplier operations and through the indirect effects of scrap recycling exports. 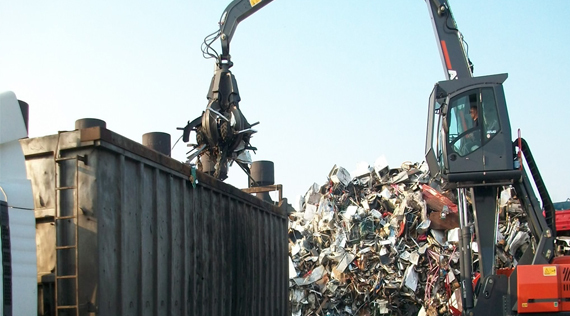 More than $3 billion in federal, state, and local tax revenue is collected as a result of scrap exports.